BART is party to hate; NIF just doesn't get Israelis; come to Torah study – J. 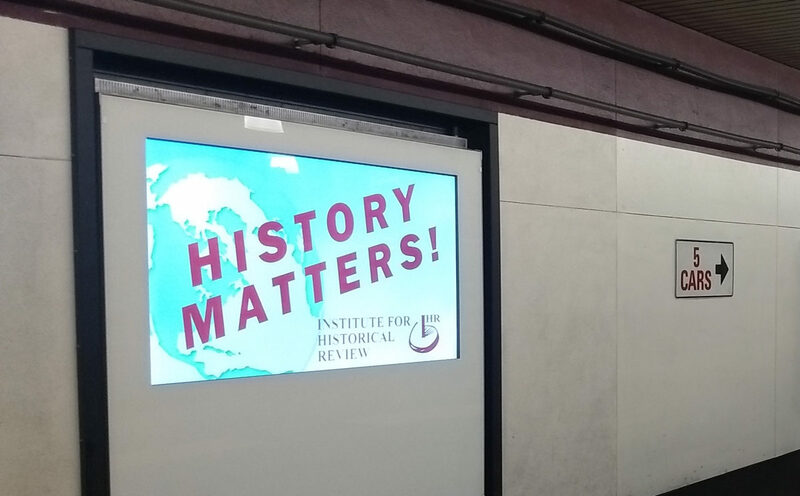 The ads, shown on BART’s platform digital displays at its Powell Street and Montgomery Street stations, promote the “Institute for Historical Review.” According to Wikipedia, IHR is ”best known for publishing articles and books promoting Holocaust denial” and “is widely regarded as antisemitic and as having links to neo-Nazi organizations.” Its “primary focus is denying key facts of Nazism,” including denial of the historical fact that Nazi Germany systematically murdered 6 million Jewish men, women and children in a deliberate genocide (tinyurl.com/wikipedia-IHR). As your article noted, the Southern Poverty Law Center has designated IHR a hate group. BART is reportedly being paid $6,000 to help IHR deny and desecrate the memory of Holocaust victims. The ads began running just before the start of the Jewish new year. Presumably, the timing wasn’t coincidental and was intended to demean and offend the Jewish community. BART’s advertising content guidelines expressly prohibit material that “demeans or disparages an individual or group of individuals.”. 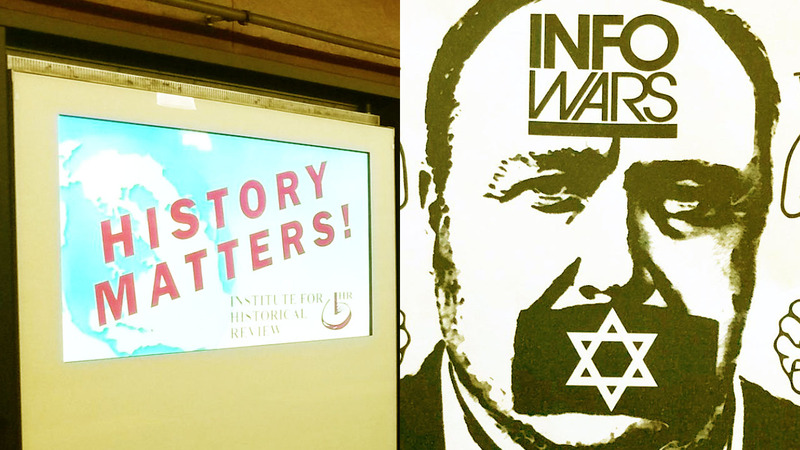 Although the ad itself seems innocuous — it merely says “History Matters!” and the name of the organization, and doesn’t mention Jews — it expressly promotes an organization well-known for propagating lies about and sowing hatred for Jews. The Washington (D.C.) Metropolitan Area Transit Authority reportedly rejected a similar ad by IHR last year. Allowing this ad opens the door for similar ads by other hate groups, including the Ku Klux Klan (unless BART has a separate standard for hate groups that exclusively target Jews). BART should repudiate IHR, donate the funds it has received from IHR to groups that support Holocaust survivors, and reject all further advertising by IHR or on its behalf. Why is JCRC’s pushback on BART ads so tepid? I’ve been following your coverage of the BART ads placed by the Institute for Historical Review. As the former editor of a Jewish newspaper, I fully understand the issues surrounding advertising. Money can sweeten the sound of almost anything. And $6,000 is a lot of money. BART could have surrounded it with a disclaimer. I suspect they hoped to avoid giving the organization reason to take BART to court, which would have been negative publicity for BART and given IHR a megaphone. While I understand their position, I don’t understand the JCRC’s tepid response as printed in your paper. 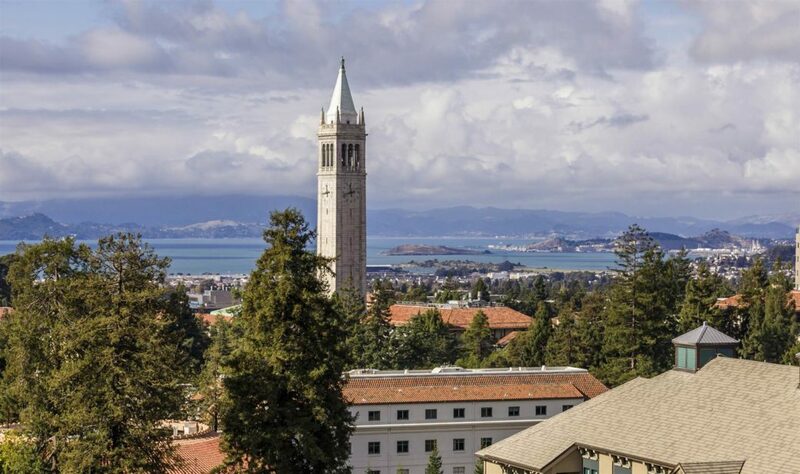 JCRC: “… nor do they reflect scholarship or history”? They are lies! JCRC: “BART could inform its riders of their distaste for these ads.” Dog droppings on the sidewalk are “distasteful.” These ads foment hate and promote injustice. They are the antithesis of all that is American. 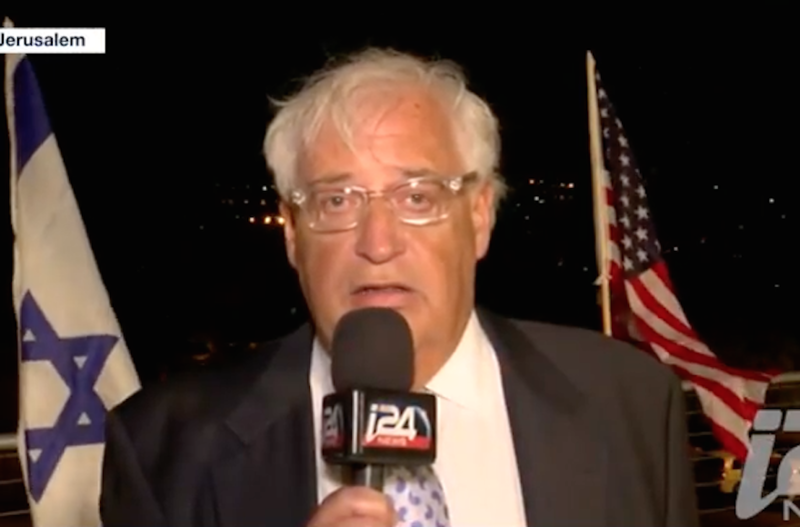 Where is the JCRC’s defense of the truth? It is sad that your Sept. 5 editorial “Days of Awe” reduces the multiple complex issues of a Supreme Court nomination to “a radical conservative who could take American society back to an age we haven’t known since the gilded age of the robber barons, before Teddy Roosevelt’s trust-busting reforms.” This phraseology goes beyond the intemperate and approaches the incendiary. Hopefully no one will take such extreme language as the basis for extreme action. It is ironic that J., which routinely criticizes the vilification of the “other,” should use such extreme terms to vilify Judge Kavanaugh. The absence of any factual discussion of substantive issues only further compromises the editorial’s validity. You also failed to make any mention of Judge Kavanaugh’s support for the Reconstructionist congregation Adat Shalom in Bethesda, Md. In the late 1990s, the congregation was being subjected to a lawsuit by local homeowners to prevent the construction of a synagogue. Brett Kavanaugh became a pro bono member of the legal team that successfully challenged the suit and ensured that construction could go forward. A newspaper which serves the Jewish community should have reported on this part of Judge Kavanaugh’s record in any news articles or editorials regarding his confirmation. In an overly polarized country, the language of this editorial is simply not appropriate. Hopefully in this new year, J. will try to emphasize the substantive and avoid any further descent into demagoguery. The Jewish community deserves, and you can do, better. The New Israel Fund and others on the Jewish left may be saddened by the shrinking of democratic space in Israel, but they should not be surprised. In fact, their actions, while well-intentioned, inadvertently contribute to the problem. Israelis exist in a world in which they are routinely vilified and judged by a double standard. In particular, they are blamed for the occupation while Palestinians are absolved of responsibility. No wonder they are suspicious of the American Jewish left when it echoes some of those same sentiments — or funds organizations that do. The pressure tactics of the left simply reinforce Israeli survival fears. And experience shows us that the more Israelis feel pushed, the more they will push back. The result is a vicious cycle in which Israeli and diaspora Jews become more polarized and distanced from one another. Israel is not America. Israelis live in a tiny land under constant existential threat and are subjected to relentless international finger-pointing. Americans live in a huge country in luxurious security. Israelis understandably resent American Jews imposing their ethnocentric idea of what Israeli democracy should look like. In this way American Jews are no different than Americans in general, assuming that our way is best and the whole world should look like us. If the left truly wants to see Israel widen the democratic space and drop its defensive, fearful stance, how about trying a different approach: more understanding, less opposition; more empathy, less unrealistic expectation. We may feel Israel is our second home, but we don’t live there. We owe it to those who do to listen and learn from them, not the other way around. Our Torah study group has met every Friday for over 45 years, and almost every session is in some way a gem. Our leaders include rabbis, professors-emeritus, noted religious thinkers, and sometimes just us one of us laypeople who knows a particular weekly parashah. Originated by a great man and noted photographer and my very dear friend, the sessions have evolved into sort of a special San Francisco give-and-take method of studying Torah in which all viewpoints are welcome and respected, provided they are succinct. We are mostly Jewish men and women plus a few Christians. I am a secular Jew, and over the years these ancient teachings have enriched my life — why not you? After four decades our numbers have dwindled and we are now seeking new participants rather than allow this very special experience to simply disappear. Please join us any Friday morning (Jewish holidays excepted) at 8 a.m. located at the Jewish Federation Building, 2nd floor, 121 Steuart St., San Francisco. Just come, without reservations or dress code. I was appalled to see Rodrigo Duterte, the president of the Philippines, welcomed to Israel by Netanyahu. I shouldn’t be surprised — like his buddy Trump, Netanyahu never met an authoritarian leader he didn’t like, especially if that leader came to buy arms. Duterte brags about killing his own people and unleashing a “Holocaust” on drug dealers, so I am sure that those weapons will be put to good use! What is being Jewish if Torah is irrelevant? That is quite a contradiction. What is being Jewish to her if Torah is irrelevant? Believe me, previous generations also spoke of “today’s world” and the Torah still stands.